MarketBeam is an AI-driven personalized social marketing platform that utilizes untapped executives' and employees' social networks to 10X your social reach, elevate brand, and nurture leads beyond the usual corporate channels. Gamification encourages content sharing on social networks, driving brand advocacy and thought leadership. Analytics provide deep audience and content analytics. "Multiple social networks, bringing them all under one roof"
Tracking traffic coming through Marketbeam on our channels like Google Analytics is a challenge. Do you find that you perform repetitive tasks? Social Media Marketing is also so frustrating. There is no end to it. You never feel you have done enough. But there is light at the end of the tunnel. 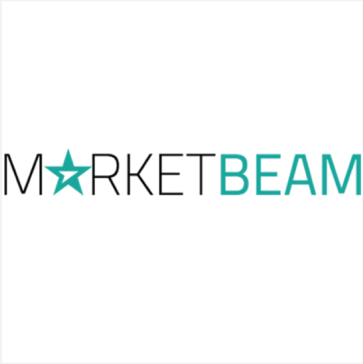 Try Marketbeam! Marketbeam is a social media management tool with some great automation features. One of the best features is you can create a team and Invite new users with a link. Once you publish a post either they will be notified by email to share the same on their social networks or if the profile is set to auto share the posts/stories get automatically shared. Its a great way to get all employees active in Social Media. It’s our employee’s social connections that can actually amplify brand visibility, increase lead quality, drive web traffic, and boost social presence. Marketbeam allows my group to post content to various social media accounts from multiple profiles all at once - it has streamlined our marketing efforts and helped expand our reach. Can be a little buggy sometimes, but tech support is great and always works with me to fix any issues quickly. They can give you a great demo of the product if you're interested in seeing what they're about. This is a great way to centralize marketing efforts while maintaining individual account privacy (does not require passwords to post through other people's accounts) and to achieve brand consistency across platforms. Centralized marketing, brand consistency across platforms, expanding reach, measurable results and success in an easy to view format - we are able to see earned value in dollars, our most engaging channels, and our most engaging posts. "Amplify your company's social media presence"
MarketBeam makes it easy to enlist your whole company in sharing content and updates via social media. When we have a product announcement, a new blog post, a webinar, a case study or a job opening that we want to share via social media, we simply upload to MarketBeam and anyone at the company can then share via their own personal social media network with one click. There's nothing I dislike about it. MarketBeam is a small but scrappy company, and when we find a limitation, or an unmet need they are quick to find a way to incorporate it in the product. We're using MarketBeam to get the word out about Janrain to a broader audience over social media than we could have by just using our own channel. Each person at our company has their own social network, they've all worked different places and connected with different people -- and so our combined social network is much bigger than that of the company alone. Many people are eager to help - they know they "should" be keeping their social media accounts up to date with new postings -- but they're all busy, and they don't get to it as much as they would like. With MarketBeam, they can set up it up once, and then automatically have posts about their company go out over their preferred social media channels. Or they can review and customize the posts -- whatever works best for them. We've had great feedback from busy team members who love this capability, and we've seen it be effective in amplifying our voice on social media. "Easy to use and powerful social media amplification tool"
It was very easy to link up my social media accounts and start sharing stories right away. I'm not a fan of automated sharing of stories - when a friend or trusted colleague shares something with me, I have the expectation that they have read and recommend the article. I'm using Marketbeam as part of an advocacy group to get the word out, but I have seen an immediate personal business benefit. My Linked In profile has seen a big uptake in views and I am getting lots of likes and shares. Since I am a new small business owner this will help me promote my own business. "A guaranteed and trusted way for our employees to share company news and information. " As someone who generates our social media posts, MarketBeam is a very effective way to help our employees share our company news and information. I spend about 15 minutes every day to post marketing content which then gets reposted by the majority of our employees. This is a guaranteed and trusted way for our employees to participate. When we have had any questions, MarketBeam is ready to listen and help. Traffic spike from MarketBeam is the highest among all other tools we use. Its great to have to have one platform to push out to multiple social media outlets. Also, the content they select to push-out is exactly what I would have chosen. The topics are relevant and current. great tool! I highly recommend. Staying relevant and proactively generating a myriad of technology topics is important in my line of work. Market Beam helps me to get this done. The product is as good as a personal assistant. "So far, so easy! Great experience." I love how user friendly MarketBeam is! I get emails directly that let me know there are new articles to share and I can click a button and that's that! I also like that I can add a customized message if I want to! So far I can't really think of anything! The ability to quickly share articles and information rather than sitting there thinking of what the caption should be, which article to use, etc. It minimizes the time to share wonderful info, and maximizes my time as a user. I would want to have the option of resharing from the corporate channel instead of only sharing it as an individual post. It would be great if Marketbeam is an App, so I can share content even if I am on the run. It is easy to notify employees about new posts. Content can be shared quickly with employees network. The product is easy to use, navigate, and configure. It is logically setup and makes marketing for events so very easy. I can easily share a story and know right away that people have seen it!! I feel our group is quickly able to share information to our network as well as get it to our many networks. Both personal and professional!! I love that you can schedule posts to be times and that you can cross post to multiple Social Media sites at once! Incredible time saver! Nothing I dislike - will be interested to see what additional platforms will be added in the future. Lack of social media presence; lack of time in a full social media implementation; better brand recognition. MarketBeam makes sharing content super easy! One click! There's nothing that I dislike. MarketBeam works well for me. MarketBeam helps us to broaden the reach of our social content. It's easy for employees to share new content with their networks. I wish I could tailor parts of the message as the word choice is not always something I would have used but overall the content is solid. * We monitor all MarketBeam reviews to prevent fraudulent reviews and keep review quality high. We do not post reviews by company employees or direct competitors. Validated reviews require the user to submit a screenshot of the product containing their user ID, in order to verify a user is an actual user of the product. Hi there! Are you looking to implement a solution like MarketBeam?